A second consecutive 5-2 win for DUAFC puts them second in Division 1A of the Leinster Senior League. 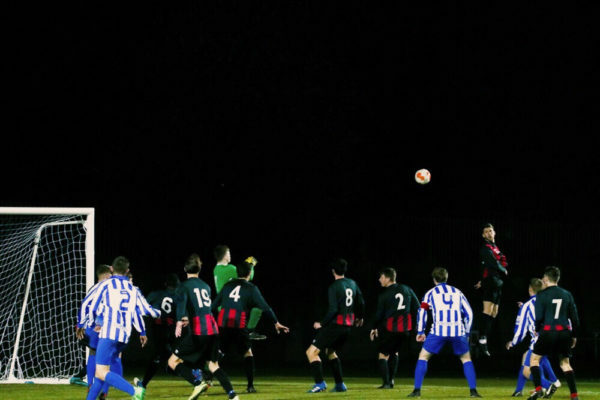 After an impressive win on Sunday, Dublin University Association Football Club (DUAFC) faced off against mid-table side Verona FC in the Iveagh Grounds on Thursday night. 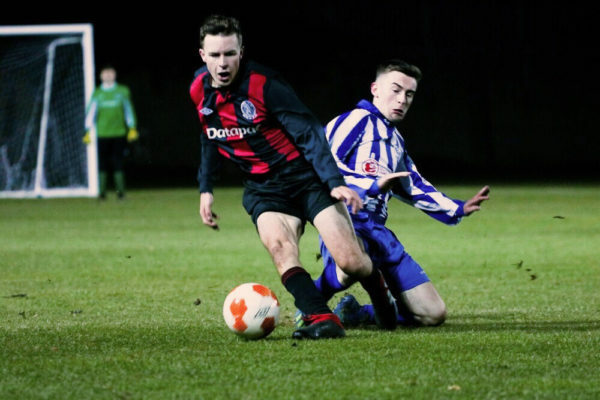 After enduring biting cold, Trinity’s footballers secured a second 5-2 win a row, bolstering their hopes of promotion from Division 1A of the Leinster Senior League. The game started slowly, with both sides making uncoordinated attempts at goal, which failed to materialise into anything substantial. However, Trinity were gifted a goal early on after a playful chip into the box by Stephen Ball bounced past a bewildered Verona goalkeeper and putting the home side up 1-0 in the fourth minute. The Blanchardstown side, though, did not take long to regain their composure and made multiple dangerous attempts at an equaliser, scuppered only by some dogged defending from Trinity. Verona seemed to be in control of the game for the next 20 minutes, but sloppy passing and an inability to capitalise on corners stopped them from ending Trinity’s lead. Twenty-nine minutes in, Niall Cullen fired a shot at goal that seemed to be veering wide until Oisin Pennycook, sliding along the ground, directed the ball into the net, making it 2-0. Less than a minute later, Verona’s Elmir Hababoic retaliated with a quick attack that stunned Trinity keeper Devin Connolly, giving the visitors a desperately needed goal. For the remainder of the half, it seemed as though Verona were hot on Trinity’s tail, but just before the half-time whistle a corner ball found the head of captain Ronan Hanaphy, who nudged the ball into the top left corner. If it seemed Trinity were on the right track as they headed into the dressing room, this impression was confirmed soon after the break when Rory Nairn darted through the Verona defence and fired a thundering shot into the visitors’ net. Trinity’s third goal came from a well-worked corner routine just before the break. At 4-1, Verona could have been forgiven for letting their heads drop, but they continued to press Trinity with biting challenges that frequently paused play. However, their efforts were in vain as Hanaphy mercilessly launched the ball past Verona keeper Claudu Valean. As the game entered its final stages, Trinity grew careless, a factor that greatly contributed to their concession of a penalty in the 86th minute. Verona’s Mark O’Connor slotted the ball into the bottom left corner while Connolly dived the wrong way. The visitors’ attempts to narrow the score continued into the game’s dying breath, with a curved ball by substitute Donovan Troy only stopped by a calculated punch from Connolly. After an October plagued by disappointment and defeat, Richie Maguire’s players seem finally to have rediscovered their attacking verve, and with 10 goals in two games their Leinster League campaign appears to be getting back on track.